Explained: How does GPS actually work? 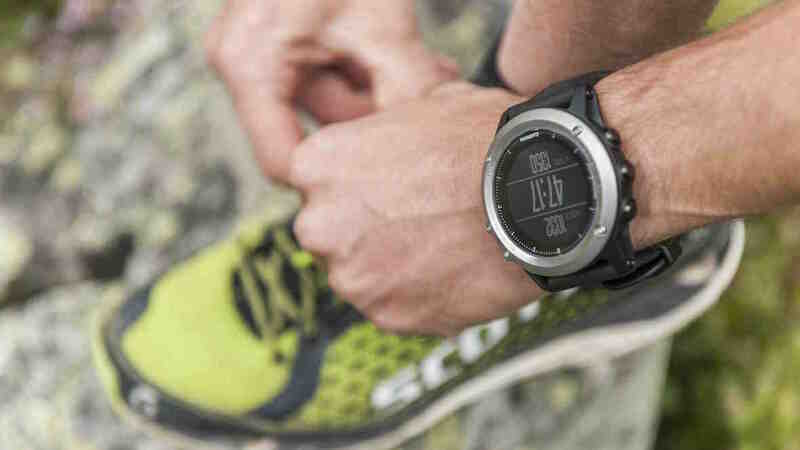 Ever wonder how your running watch globally positions you? GPS is one of those technologies that we really take for granted. Google Maps, sat-nav, running watches - we're quick to get annoyed when they're slow or ever-so-slightly inaccurate, but we never take the time to appreciate our Global Positioning System for what it is - majestic and kind of magic. So how does GPS actually work on our wearables and what can impact its performance when we're out and about? We break down why it's so damn important to get to grips with. We'll start in space because, why not? Solar-powered satellites have been orbiting the earth since the 70s when they were placed there by the U.S. Department of Defense. Satellites are currently orbiting at a speed of 7,000 mph, approximately 12,000 miles above the earth's surface, and in the 1980s they became available for civilian use - that's you and me. So how do satellites in space work out whether you're on Brewer Street or Frith Street? Well, each satellite orbits the earth in a very precise path twice a day and sends microwave signals to GPS receivers, which take this data and use triangulation to determine your exact location. At any one time a receiver needs to detect at least three satellites for latitude and longitude and four satellites to add your altitude. What is trilateration? Essentially, the receiver in your smartphone or running watch takes the time the signal was sent from the satellite and the time the receiver receives it and uses that difference to work out how far away the satellite is. It repeats this distance and time lag measurement for further satellites in relation to the receiver (you) and can then work out your exact position and track this as you move. Clever. The GPS satellites aren't actually alone up there. A rival system named GLONASS uses 24 Russian Aerospace Defence Forces satellites - some smartphones and wearables include both receivers to increase the chances of your precise location being detected and speed the whole sending signals and measuring distances process up by as much as 20%. Michibiki is Japan's own GPS system, which Casio's upcoming Android Wear smartwatch will support. GPS works 24/7 in all weather conditions, though the actual low power 1575.42Mhz radio signal travels by line of sight. So that means it won't go through solid buildings but it will pass through clouds and glass. So while GPS is actually very accurate, even in dense cities, it doesn't work indoors - a first world problem tech like iBeacons is trying to rectify. Outdoors, standard GPS receivers, for instance, are accurate to within 15 metres. As well as harnessing GLONASS satellites and using parallel receivers for higher accuracy, wearables and watches can also use WAAS (Wide Area Augmentation System), which can get your location down to within 3m or DGPS - Differential GPS, which corrects GPS signals down to a range of 3 - 5m using a series of beacons. It's worth noting that GPS has its own control and monitoring stations - four around the world. The actual information transmitted includes an ID code for the satellite, the current date and time from the satellite's atomic clock, the status of the satellite and orbital info that shows where the satellite (and the rest of them) will be at any given time. And as you'll probably realise, once you've got an accurate GPS signal, it can be used to accurately track running speed, distance to a destination, sunrise and sunset. So why doesn't it always work perfectly? We've all been there at the start of a run, waiting for GPS to lock on, looking for satellites. Or realising that Google Maps doesn't quite have the blue dot in the right place. There are quite a few reasons GPS might be inaccurate or slow. Here's a few choice excuses, we mean, explanations: delays as the signal passes through the atmosphere; reflections and obstructions from tall buildings or large rocks; an inaccurate time on the receiver's clock; buildings or nature getting in the way and tight grouping of satellites. So can you fix any of those issues? Kind of, but it's a long process that requires the US Air Force to modernise its GPS network. The last modernisation occurred between 2010 and 2016, and the next one is slated to begin in 2018. The new satellites, manufactured by Boeing, will include new signals for civilian use - that's us! - that improve reliability and accuracy in cities and "challenging environments." So there you have it, we hope you have a newfound respect for GPS and how hard the tech works to get its signals where they need to in order to precisely track your 5Ks round the park. GPS, we salute you. Do you have any more questions about how GPS works on your wearables? Let us know in the comments below.